It’s been a particularly wet and windy week at King Offa Primary Academy, but that hasn’t stopped children’s enthusiasm and engagement. Thank you for your supporting today’s Mufti Day. The school has been awash with green, the international colour for ‘mental health’. 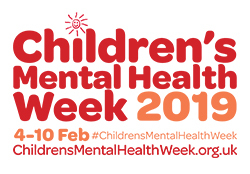 This week, the school has been promoting ‘Children’s Mental Health Week’ and the children have held some powerful discussions and thought about the way in which they can help themselves, and others, to promote a positive outlook on life, at school and at home. By wearing something green today, your child has raised the awareness of an issue that everyone is talking about. There have been many exciting curriculum opportunities across the school this week. On Monday, children in Reception were expecting a visit from the East Sussex Fire an Rescue Service, but had to postpone their visit as they were urgently called out to attend an emergency. Never mind though, as PC Charlotte Williams was near King Offa and offered to come into school to speak to the children about her job. The children produced some excellent writing, all about the job that police officers do, the clothes that they wear and the equipment they have. To finish off the week, on Wednesday, Mark and Jo Smith, two of our parents, were able to bring in an ambulance to show the children and talk to the children about their jobs! The children saw lots of equipment and got to go up and down on the lift into the back of the ambulance. Some of them were even allowed to sit in the front and start the sirens! On Tuesday morning, children in Year 2 were visited by the ‘Darcey Bussell DDMIX Dance’ team for an extra-special visit. This was excellent mindfulness workshop which provided the children with a taster of dance and some ideas for the teaching and learning of dance across the school. The movement to music made the children come alive and feel energised for the rest of the school day. This was an exciting and diverse learning experience that was physical, aerobic and highly engaging. Children in Year 6 have produced some outstanding Viking masks. These large pieces of art use a range of media, including cardboard and wool, and have a number of unique features, such as braided hair, 3D noses and incredibly large eyes – they are well worth a look. Can’t picture them? They are part of our Paragon displays in Ospreys’ and Eagles’ classrooms. Thank you to all of you who have nominated your child’s sporting talents and successes. As part of a weekly award, we will present a ‘Sports Personality of the Week’ badge to a child who has been active, demonstrated resilience, commitment and enthusiasm. This week, the Sports Ambassadors chose Callum S. in Year 6 as the inaugural winner. Callum trains for 2-3 on his diving. We will look forward to seeing next week’s winner. In assembly today, we awarded our first set of ‘Golden Mile’ certificates. All of the children are taking part. Some were awarded their Bronze certificate for completing 10 miles! Well done to all of these children! Vinnie S and Noah B in YR.
Summer M and Lila H in Y1. Reace R and Mia H in Y2. Alysher S-L, Riley M and Lexi C in Year 3. Marcus I and Kiana W in Y4. Chloe E and Harry G in Y5. Frank C and Alicia G in Y6. The number ’330’ was chosen at random in the ‘Attendance Raffle’. This week’s ‘Champion’ is Oliver T. in Year 2. I hope to see you for one of the Paragon events taking place next week!